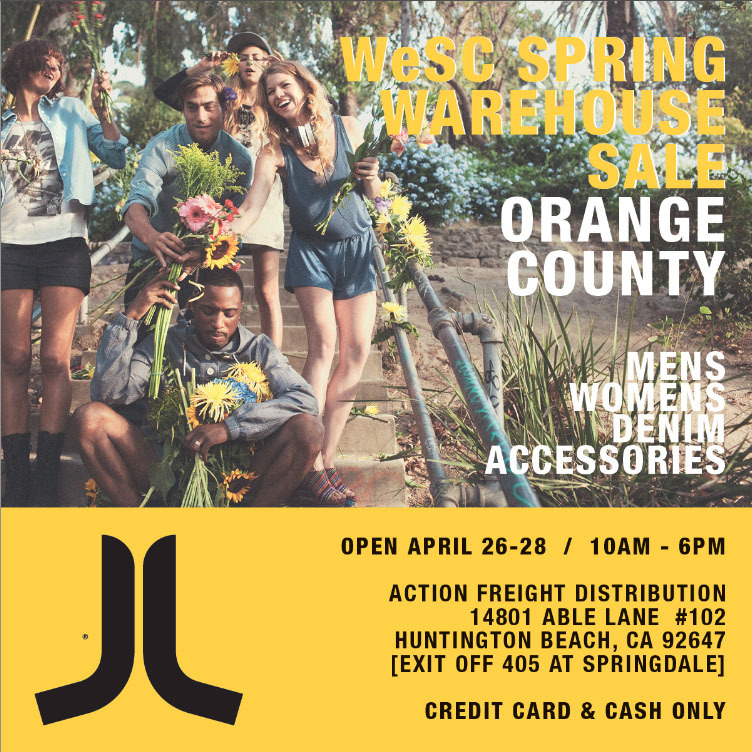 WeSC (WeAretheSuperlativeConspiracy), a Swedish alternative/street fashion clothing company, is having a Spring warehouse sale this week! From Thursday April 26th through Saturday April 28th, the warehouse will be selling deeply discounted items, with new product every day. Like most warehouse sales, early arrival is highly suggested since most popular items will sell out very quickly! Doors open at 10AM, so be sure to get there early! Check out wesc.com for all of their products including clothing, footwear, headphones, and accessories.